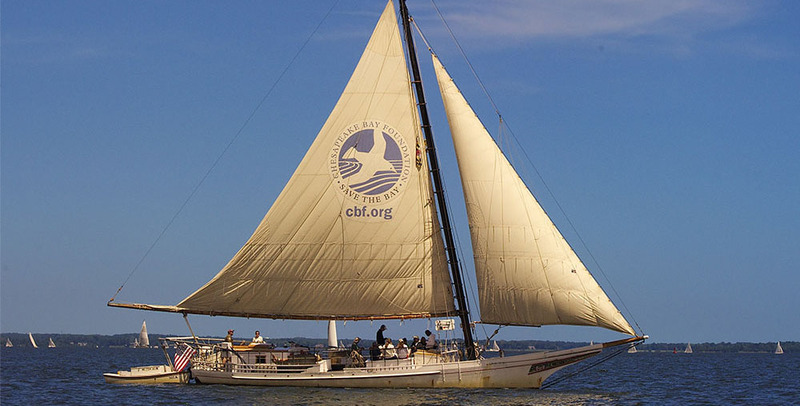 CBF's historic skipjack the Stanley Norman. This fall, our calendar is chock full of events. These events range from grabbing breakfast with us at sites throughout Virginia, to cleaning up waterways on the Eastern Shore, to learning how to become an oyster gardener at workshops throughout Maryland. If you're looking for a good time, join us at our Save the Bay Family Day in Virginia Beach, join us on our sustainable farm for a fun-filled afternoon at our 3rd annual Burgers and Brews for the Bay, or come on board our historic skipjack, the Stanley Norman, for a unique perspective on Bay history and culture. For a full list of events, look below! If you want to help save the Bay, join us out in the field, on the water, or in a classroom this fall. No single event, no matter how awesome, can save the Bay. But collectively, when we come together, we have the power and the influence to set a chain of events in motion that will leave a legacy of clean water to future generations. Richmond, VA: Join us at the Virginia Clean Water Gubernatorial Forum! During staggered appearances by Mr. Ed Gillespie and Lt. Governor Ralph Northam, you'll hear their thoughts on issues impacting the James River and the Chesapeake Bay. After a question-and-answer session moderated by Dr. Quentin Kidd of the Wason Center for Public Policy, we'll host a light reception, giving you an opportunity to mingle with other citizens interested in clean water. Click here to register! Easton, MD: Why should you care about menhaden? Learn about this incredibly important critter and join us for a film screening of "Menhaden: The Most Important Fish in the Bay," followed by a discussion with CBF Maryland Fisheries Scientist Allison Colden. All attendees will be eligible to win a goodie basket chock full of fun, fishy menhaden swag. This event is free and open to the public, but registration is required. Click here to register! Virginia Beach, VA: Help us celebrate our 50th anniversary—join us at Save the Bay Family Day! Bring your family and friends for a thrilling day of educational experiences, local bites, live music, and more. This event is free and open to the public, but registration is required. Click here to register! 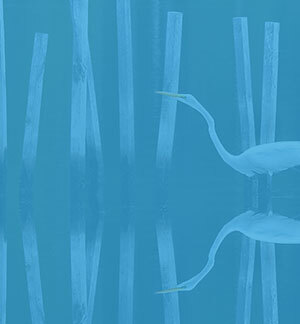 Williamsburg, VA: Join us for a Clean Water Breakfast to learn how Virginia is faring toward reaching its water quality goals and what you can do. With the gubernatorial election right around the corner, discover what's needed in the next four years to sustain the recovery of the James River and the Chesapeake Bay. Click here to register! Henrico, VA: Come paddle Four Mile Creek and the James River with CBF's education staff. We will explore the flora and fauna of the river, seine for critters, and investigate the marshes of the James. The paddle is free and all equipment is provided. Click here to register! Easton, MD: Join us on International Coastal Cleanup Day to clean ponds and streams that lead to the Tred Avon River. All participants will receive a free, reusable CBF tote. This event is free and open to the public, but registration is required. Click here to register! Baltimore, MD: Join us for a fun and educational trip out of Baltimore's Inner Harbor. CBF's workboat Snow Goose provides a unique platform from which participants study the dynamic relationship between the Port of Baltimore and the Chesapeake Bay's Patapsco River. Click here to register! Annapolis, MD: Come on board for a sail on our historic skipjack the Stanley Norman. While aboard, you'll be invited to help hoist the sails or simply enjoy the view! You will leave with a better understanding of oysters and their role in keeping the Bay clean as well as what CBF is doing to restore the oyster stocks to save the Bay. Click here to register! Virginia Beach, VA: Join us for our 7th Annual Clean Water Captains' workshop. This annual training provides Captains and prospective Captains the most up-to-date, actionable science and policy information available. The training also provides opportunities for networking, paddling on Crab Creek, and bird watching at the Brock Environmental Center. Click here to register! Annapolis, MD: Join us out on the water for a morning of fishing, learning, and fun! Spend the morning aboard the Marguerite in search of whatever is biting! Our experienced crew will provide all the knowledge and equipment necessary—just bring your enthusiasm! Click here to register! Baltimore, MD: Help grow the Bay's beloved bivalve–the mighty oyster–in the Inner Harbor! Activities at this oyster gardening workshop include Oyster and Bay 101, building oyster cages, and installing cages of baby oysters (spat on shell) in the harbor at the Downtown Sailing Center. Click here to register! Easton, MD: Help grow the Bay's beloved bivalve–the mighty oyster! Join us for a new oyster gardener workshop to the supplies and training necessary to grow your own oysters. During the two-hour workshop, you will learn about oyster ecology, the importance of oysters to the Chesapeake Bay, and how to care for your oyster garden. You will also construct four oyster gardening cages that you will use to grow your oysters. Click here to register! Easton, MD: Returning oyster gardeners can pick up their spat for the fall/winter season. Click here to register! Cambridge, MD: Join us for our most in-depth adult education program available to our members and the public. VoiCeS, which stands for Volunteers as Chesapeake Stewards, is a program to reach out to local volunteers and their communities to create a deeper understanding of the Bay and the efforts to restore it. The Dorchester VoiCeS class is a six-week course meeting on Mondays, starting September 25! Click here to register! Edgewater, MD: Returning oyster gardeners can pick up their spat for the fall/winter season. Click here to register! Lynchburg, VA: Join us for a Clean Water Breakfast to learn how Virginia is faring toward reaching its water quality goals and what you can do. With the gubernatorial election right around the corner, discover what's needed in the next four years to sustain the recovery of the James River and the Chesapeake Bay. Click here to register! Baltimore, MD: Help grow the Bay's beloved bivalve–the mighty oyster–in the Inner Harbor! Activities at this oyster gardening workshop include Oyster and Bay 101, building oyster cages, and installing cages of baby oysters (spat on shell) in the harbor. Click here to register!